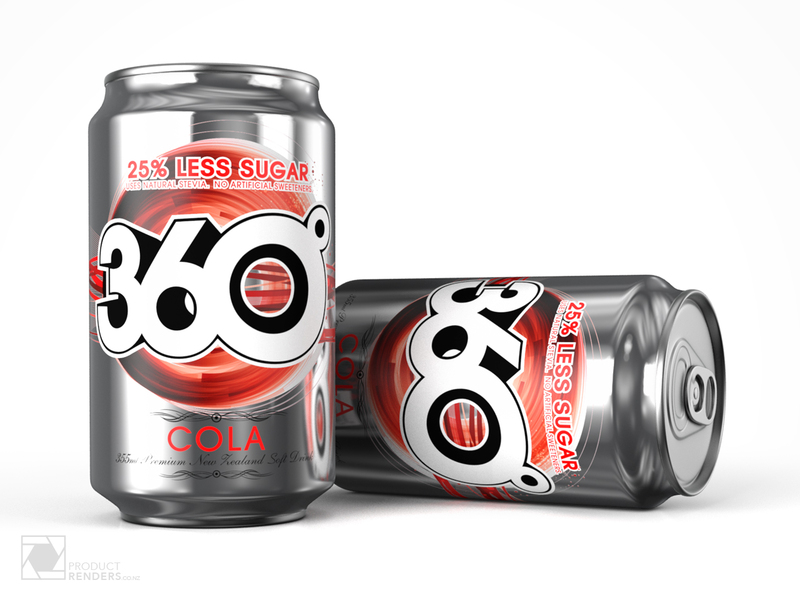 360º Cola packaging was designed by art director and designer Matt Battye when he was employed at South Pacific Brands. This render was commisioned as part of Matt’s presentation process. Not only did Matt present the flat design and artwork to the management team but he also wanted to show how the cans would look once produced. Producing pre-production visuals of designs has helped Matt become one of the leading retail/packaging art directors and designers in New Zealand. More of Matt’s great work can be found on his website here.